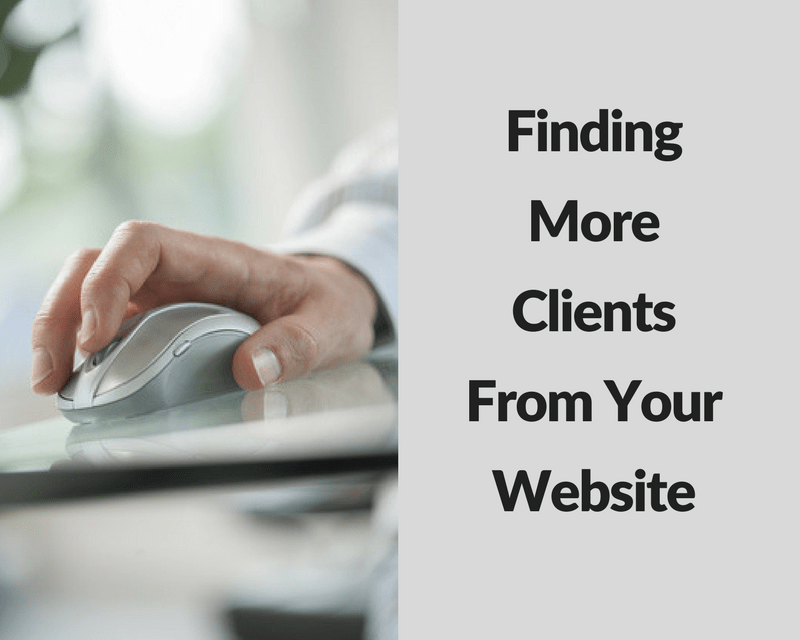 Finding clients online and making the most of your website is such an important part of any more clients marketing campaign. Over the years I have seen huge amounts of time and money wasted on producing good-looking websites that aren’t set up to generate more clients and end up being expensive white elephants. 1. 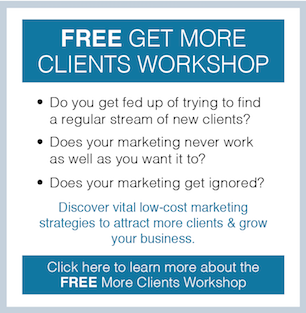 Get started by thinking about your clients’ typical business issues. They are searching for ways to overcome problems and challenges and want to know how your services can help them. Your content needs to focus on their issues and how your services would be a solution. The vast majority of websites tend to be totally self-promotional and don’t connect with their potential clients; they drone on about how good they are and how long they have been in business for. If you bear in mind that you have around 8 seconds to win their attention and get them to explore your site further, it’s not a great way to start a business relationship that leads to prospects becoming customers. What problems and issues do they have? What would they be interested to learn? How can you win their attention? This will give you ideas to help build rapport by writing compelling and relevant content. 2. The homepage is at the heart of your site. It needs to be a guide to content and resources you want to share. So in order to get visitors to stay and engage, your homepage needs to be about the value you can add to their business. Essentially this boils down to giving them an insight into the results and outcomes your services deliver. They want to know how you can help them and why they should choose you over a competitor. With this in mind, the words you use are crucial. Don’t just cut and paste text from your brochure or leaflets, use the tried and tested AIDCA method. It’s a method that many journalists use and is a simple way to write effective copy even if you have not written before. AIDCA is an acronym that outlines the process you want your visitors to take: Attention, Interest, Desire, Conviction and Action. Your words need to get their attention, capture their interest, motivate their desire, prove you deliver results and get them to take action. The headline is so important and worth spending a bit of time on. Think about your clients’ issues and what they want to solutions to. These strategies are very different to standard website design approaches. If your website is not continuously generating leads and enquires then consider applying the above ideas. How can you win the attention of your website visitors? How could the AIDCA model work for you?